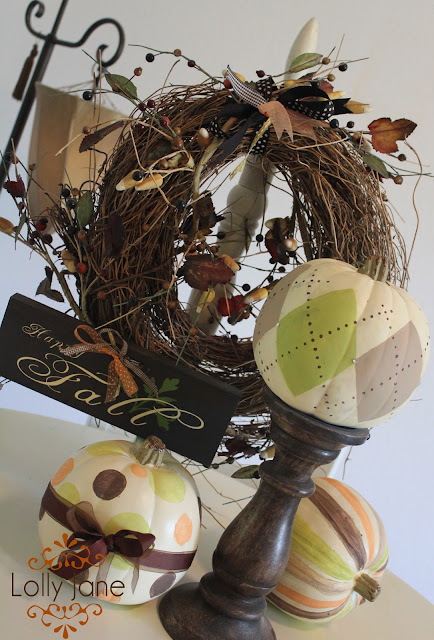 Fall Decorating | Just Spiff It! Here is another china pattern that has a turkey on it to use for your Thanksgiving table from Johnson Bros. called His Majesty. This pattern just looks like your grandmother gave it to you and I do love the colors in this pattern. Bread and Butter Plate – how awesome! Fruit Bowls – I love these little bowls because they are so dainty! Coffee Mug – which doesn’t jazz me at all – but I do like that Tom turkey is inside there peeking out at us. Sugar Bowl – love this one also. The Tureen – and oh how I love tureens!! I think cranberry colored glasses would pick up that same color in the plates. Sorry for the teeny tiny photos. 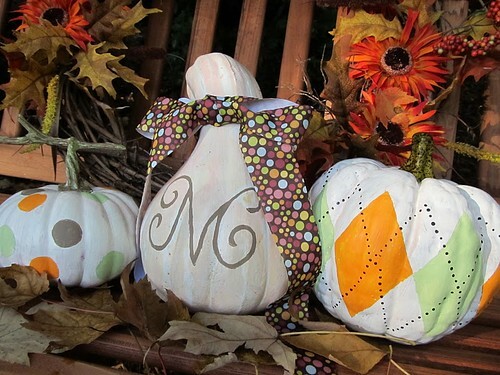 So there you go – yet another option for your Thanksgiving table! 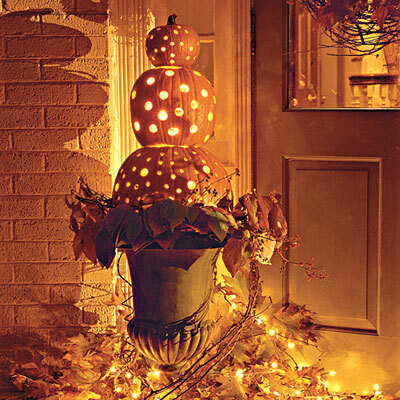 Halloween decor that makes me smile! Seriously! There are some very creative people out there! I am amazed at others talents. How cute is this? I would duplicate this in a heartbeat but then ugh! ya have to store it! 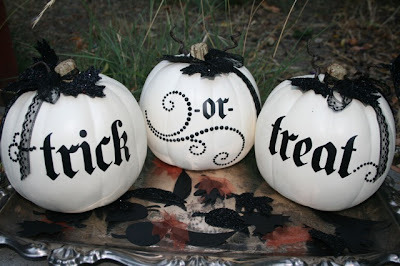 Here is another adaption of the same idea and still stinkin cute! 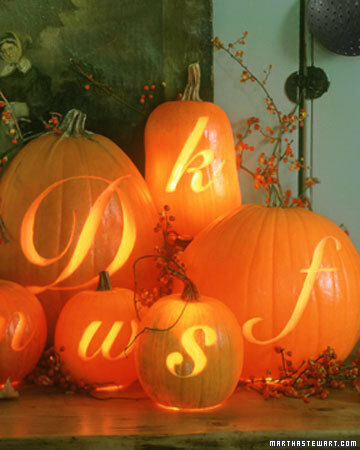 Here is our front porch – some real pumpkins and some fake ones. After looking at other front porches ours looks kinda sad! 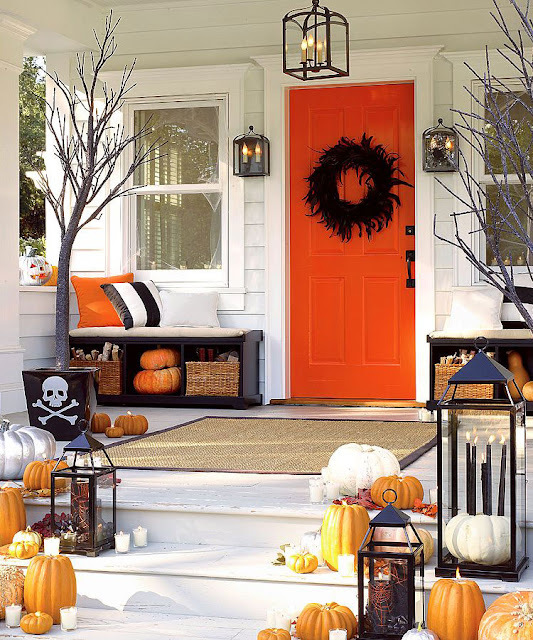 Do you think they really have a orange front door – or just painted it for the occasion? 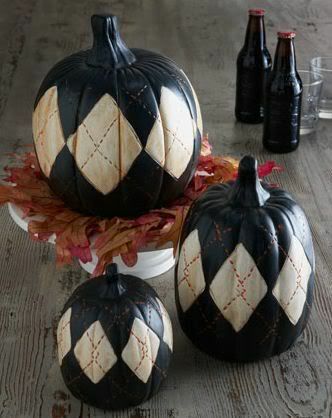 And everyones favorite from Pottery Barn last year – still lovin it! This front porch is over the top and wonderful! I love it! 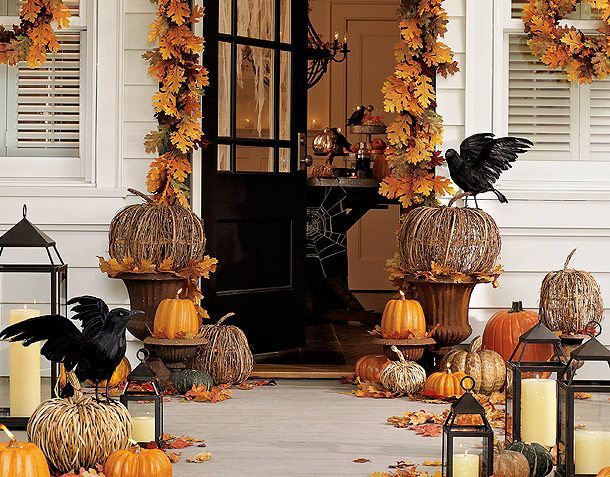 This is also a lovely fall front porch. And don’t forget to add your house number!! 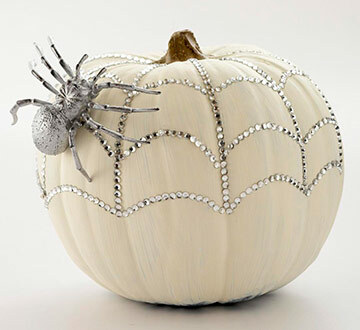 Elegant Fall! Grandinroad.com has some of the best “drool worthy” outdoor assessories. 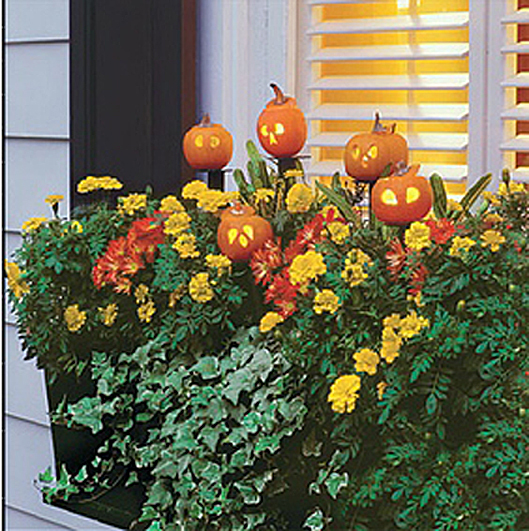 This window box is too darn cute!! 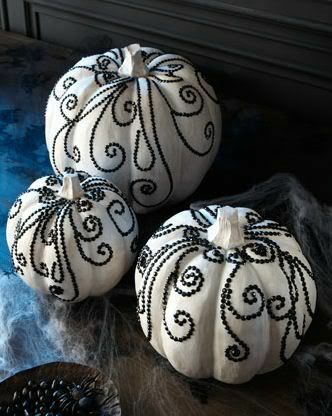 Velvet Pumpkins – so gorgeous! 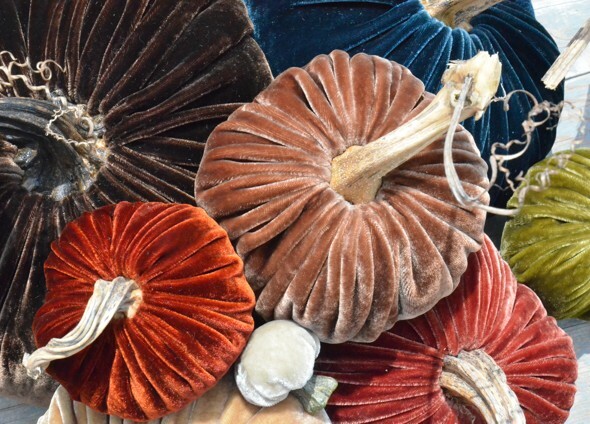 Thank you for visiting my blog – if you have time please leave a comment.